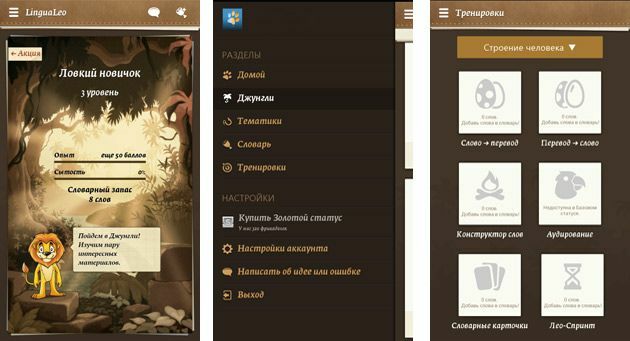 If you Tekhnofit same as I do, then, most likely, on your mobile device, you can find a couple of applications, devoted to the study of English. I admit frankly that my phone is not just a couple of them, and a couple dozen. The quality of many applications, it is doubtful, on the other hand — they are free, what I still want them? Still, I managed to find such applications, which can be safely used as an extra help in learning English. Who has not heard about one of the most successful startups in Russia — Lingualeo? Their success story spread through the dozens of thematic forums, becoming role models for many IT-companies. Let me remind you briefly, the development team of this linguistic service went to Thailand to 6 months to dig to the very top in the job and release a beta version of the application for English language learners. 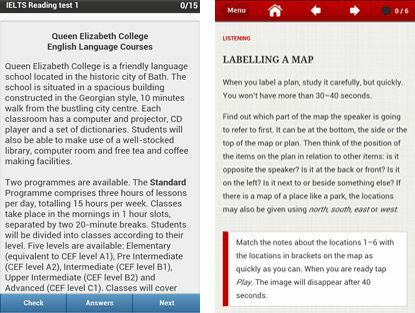 Today, the application is available for download Lingualeo users of Android, Apple, Windows mobile. Although it is believed that the application is suitable for all levels of education, I think that people with advanced level will be a little boring. But it is a great addition for those who have just started or decided to refresh knowledge. The interest you Lingualeo? His game interface! Sign up, follow into the jungle, perform tasks (reading texts, learn the words, listen to audio), earn points — all this will help you to raise your level of cub-avatar in your application. Gamification in action, so to speak! Playing passing quests, completing quests, and interacting with other enthusiasts of English, can be usefully pass the time. The application, of course, free, but if you need to be a word of any particular category (IT, marketing, and others. ), You have to spend a little more advanced and serious stuff. But for training do not need a connection to the Internet. Applications authoritative British Council has always enjoyed great popularity among fans of the English language. You bet! British Council — is a global organization, training centers which are located in more than 100 countries. Many authentic allowances issued under the editorship of BC. This British Council we are obliged by international conferences that are devoted to the English language. I think these guys know how to teach English, so I advise everyone to stop look at a couple of applications from British Council: Podcasts and Johnny Grammar. Podcasts — it’s a video or audio recordings made ​​in the style of the interview or broadcast. This application British Council Podcasts — a collection of audio to entry-level, but it has a wide range of themes. Choose the number of the podcast, watch what will be discussed, progruzhat podcast and forth. After each podcast there are exercises to check understanding what he heard (Comprehension Check). Still Podcasts from the British Council sin too simple pronunciation, or rather very much a classic. But in real life, as we know, very few people have such a beautiful accent. But first, this is exactly what we need. After all these records you will click as the nuts, you can move on to something more serious, such as Ted Talks — that’s where the speakers can deliver a lot of headaches to its pronunciation! The name itself tells us focused on what the developers — in the great and terrible English grammar. 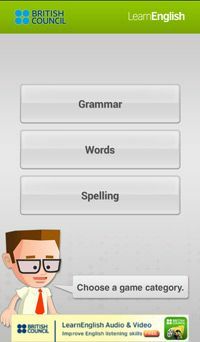 Choose the section «Grammar», «Words», «Spelling» and forward to test their knowledge. The only disadvantage of this application is that the correct answer is given at the end, but there is no explanation of why it is true. Dear friends, I hope you have a long time in the tabs have this wonderful resource engvid.com. Teachers Engvid — this native speakers with extensive teaching experience. Daily updated site is the new video tutorials. 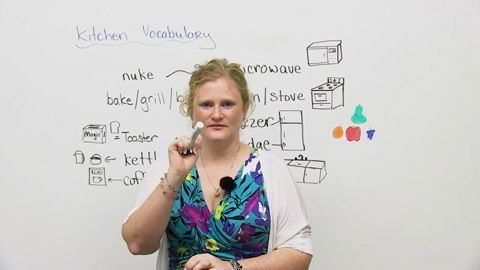 Topics include quite a variety: from the Business English and finishing tips for IELTS, TOEFL and other exams. Mobile application EngVid Learn English for free replete with advertising, but it is free, you can wait. Another shortcoming — required an Internet connection to be able to view the video. But the video lessons — it’s just a magic wand for all people-visuals. In addition, the teachers themselves are very charismatic, and they are a pleasure to watch! Each day starts with my good mood thanks to the video page Engvid, not always learn something new, but the shape of the material is very happy, there is a lot to learn. Popularity international exams is constantly growing, so it is not surprising that so many developers come to grips with the creation of applications specifically prepare for certain examinations. Despite the fact that these applications there is a lot of difficult, not all were well made. But what to do, because they are free! How to find a running application? Only through trial and error. I would like to draw your attention to the fact that almost every test there is something like opening an application that answers the most frequently asked questions, such as «101 Tips for IELTS Speaking», «Successful TOEFL» and others. If you’re just starting to get acquainted with the exam, these applications will help to understand the structure of the exam, the typical mistakes and ways to solve them. Also, look for applications that are aimed at working off each task separately exam. By the Reading, Listening and Grammar can even prepare yourself performing typical tasks. Of course, there are jobs for testing and Writing, and Speaking, but it seems to me that in these two parts of the exam, it is important to get feedback from the teacher. No application will not replace the valuable comments of the teacher. Needless to say, the application of the world a myriad of English. Have a good search to find what is right for you. However the game is worth the candle — but worth it. Once your phone has become a part of your life, then do so, and the English have always been with you!